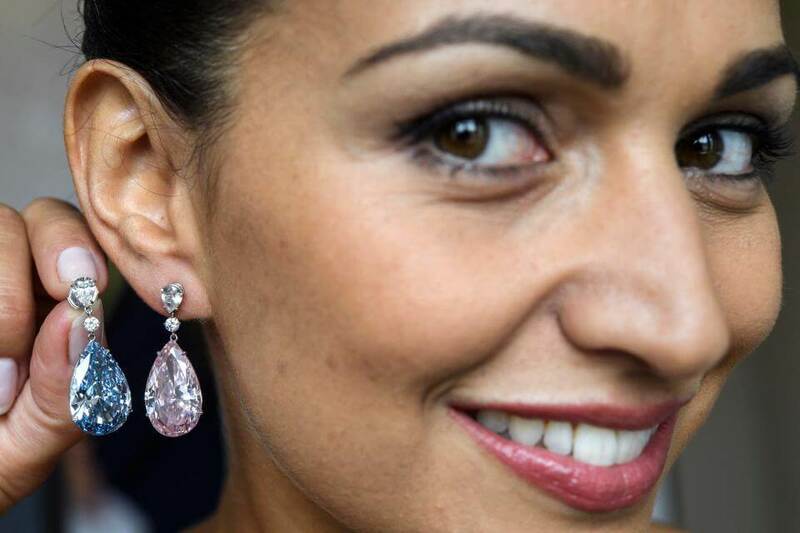 Have you noticed this small detail about the most expensive earrings in the world? Check out the story & find out what you missed! Not everyone will notice this little detail about the Apollo & Artemis diamond earrings, did you? No, you are not looking at two pairs of earnings, there is only one but the diamonds don’t match! 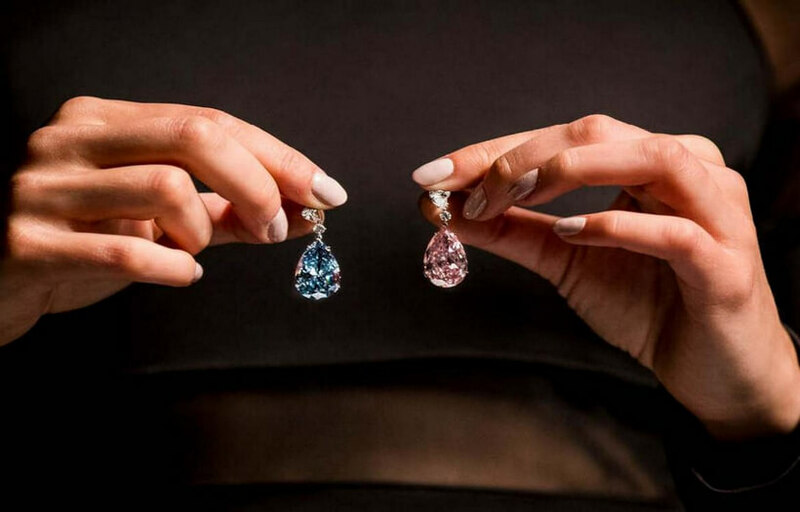 The pair of odd colored diamond earrings that don’t even match, just became the most valuable pair of earrings in the world. The diamond earrings are named after the Ancient Greek Gods of power and beauty. 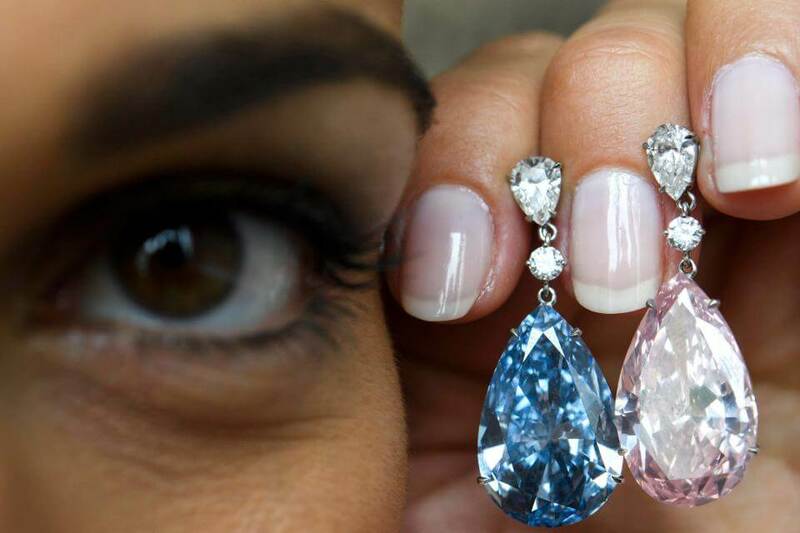 The Apollo and Artemis diamond earrings have sold at auction for $57.4 million. Described as “truly exceptional stones”, the unique accessories are in a “class of their own”. 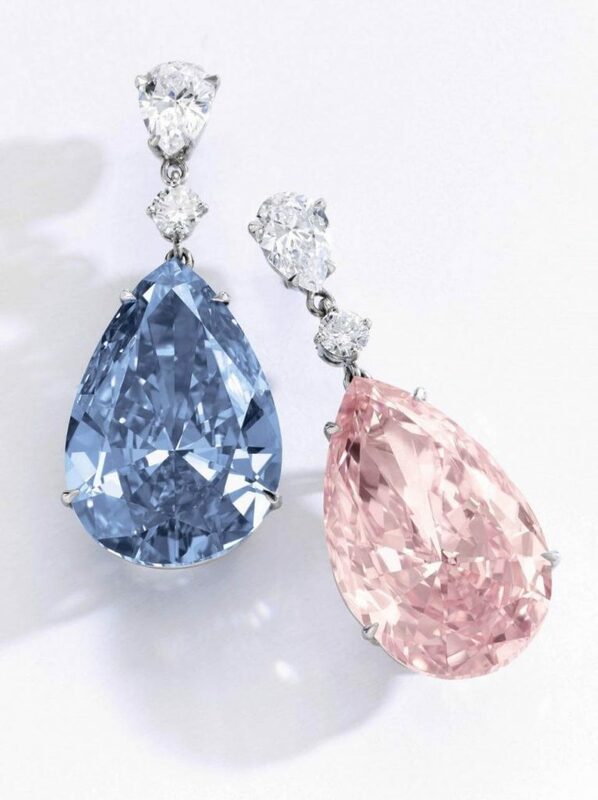 Apollo, a blue diamond, paired with Artemis, a pink diamond sold together at Sotheby’s for a staggering amount of money. The Apollo stone, a 14.45 carat blue diamond, cut and polished into a pear-shape gemstone. Meanwhile the Artemis stone is a 16 carat intense pink diamond. Both gemstones are rare with less than 0.1 per cent of existing diamonds that have any blue in them. 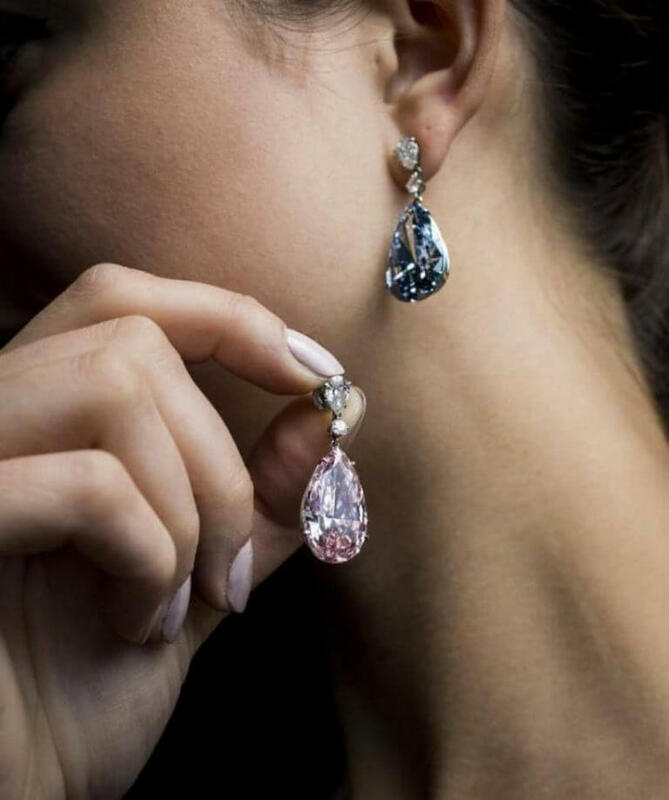 The two earrings came from separate sources at Sotheby’s auction in Geneva who paired them together. The blue stone, Apollo sold for $43 million while the Artemis gemstone sold for $14.4 million, and the same anonymous bidder got them. Prior to the sale, Mr Bennett described the diamonds as “the most important pair of earrings ever offered at auction”. The auction became one of the most successful in Sotheby’s history, with two-thirds of the gems sold for above their high estimate. What do you think about the most expensive earrings? Maybe you’d like to check the most expensive diamond?